We bring you a new seasoned spice Chicken Salt. 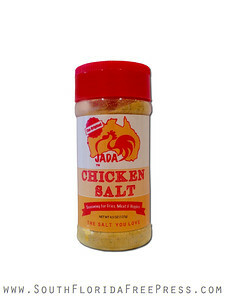 Founded in Australia, JADA’S Chicken Salt is a homegrown small business, manufactured right here in Miami. Chicken Salt, taste the difference and feel the ocean! 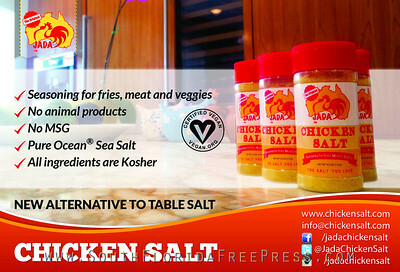 Chicken salt utilizes clean, high quality "Pure Ocean® Sea Salt." Produced as nature intended, Pure Ocean® Sea Salt. contains a variety of trace essential nutrients and minerals. Unlike chemically altered and processed products, Chicken Salt is produced with flavorful and enriching "Pure Ocean® Sea Salt" which is obtained from evaporation of water straight from the Atlantic Ocean with minimal processing, leaving the vitalizing ingredients right where they belong. "Pure Ocean® Sea Salt" is also Kosher Certified by the Orthodox Union. Please note we are not claiming that our salt is unrefined. The perfect addition to any cuisine from French fries, meats and vegetables, Chicken Salt is designed as natured intended it, with clean high quality Pure Ocean® Sea Salt. Chicken Salt includes a variety of essential nutrients and minerals with no chemically altered or processed products. Produced with flavorful and enriching Pure Ocean® Sea Salt with minimal processing, the finished high-quality and homemade product leaves the vitalizing ingredients right where they belong. 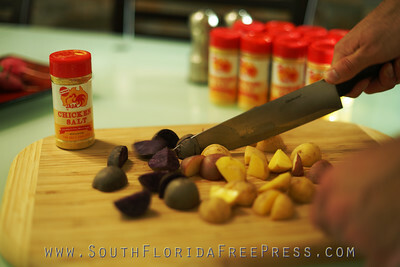 Chicken Salt was launched on Labor Day, 9/1/2014. Currently Chicken Salt can be bought at the following places.